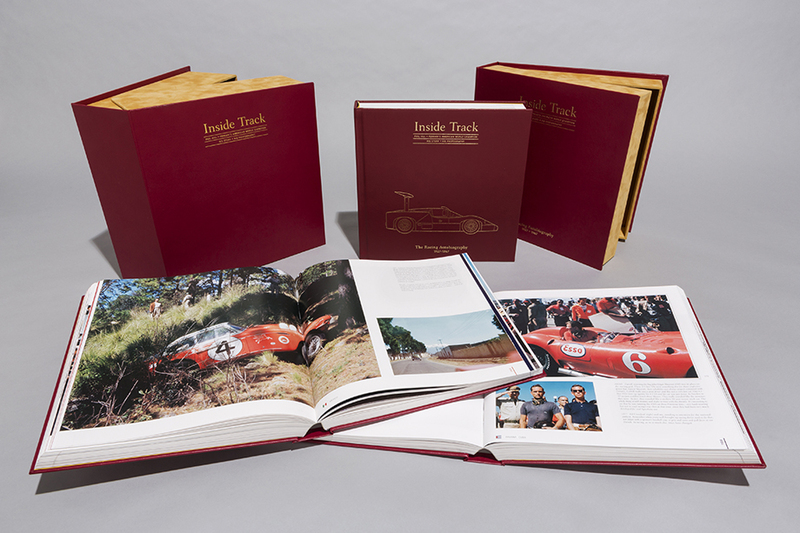 Limited to just 200 numbered and signed copies, the Connoisseur’s Edition comprises the two volumes of the Collector’s Edition plus The Racing Autobiography, with all three volumes specially bound in burgundy leather and presented in two beautifully produced ‘clamshell’ cases, one containing the two photographic volumes of the Collector’s Edition and another The Racing Autobiography. The Connoisseur’s Edition is available now, ready for immediate despatch worldwide. Click on BUY NOW to order the Connoisseur’s Edition directly, or visit CHECK OUT to see other possibilities.